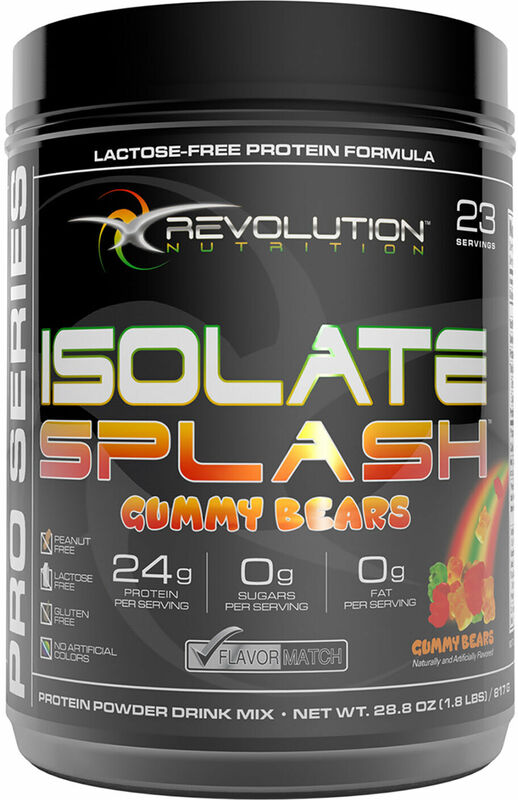 Isolate Splash Protein Matrix (whey protein isolate, premium hydrolyzed peptides), maltodextrin, L-Glutamine, lysine, natural and artificial flavor, natural color, acesulfame potassium, sucralose, citric acid. Contains: Milk Ingredients. This product has been manufactured on equipment that processes milk, soy, nuts, shellfish and eggs. 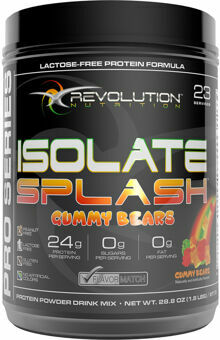 WARNING: This product is potentially amino acid spiked and uses "whey peptides" that are not necessarily isolates. Isolate Splash supplies your body with 24 grams of protein of the highest biological value possible, allowing your body to easily absorb all the benefits of protein!